Ministry of External affairs had recently launched the Passport Seva Kendra (PSK)that improved the passport application process. This new system claims to get the passport within three days. 2. Offline - Submit the form at Passport Seva Kendra. 1. 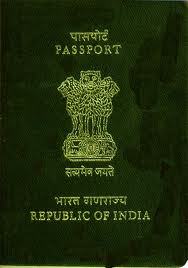 Register on Passport Seva Website by clicking on "Register Now" button on this website. 2. Now, Login to this website by Passport Seva user account. 3. Click on the "Apply for Fresh Passport/Reissue of Passport" link. 4. Fill the required details asking in the form and submit the form online. 5. Now, Click on the "Schedule Appointment" link on the "View Saved/Submitted Applications" screen to schedule an appointment. Appointment Time for each Passport Office is different. Like- for Delhi it is 6.00 PM ,for Patna it is 11 AM. 6. Now, Online Payment is mandatory for booking the appointments at all Passport Seva Kendras (PSK). 7. Now, Visit the Passport Seva Kendra (PSK) where appointment has been booked. Please carry your original documents.